Bansko Express is a simple and secure online booking service for return transfers between Sofia, Plovdiv, Thessaloniki Airports and the Bansko Ski Resort (including Razlog and Banya). Bansko Express offers an amazingly low cost Bansko transfer service and private taxi from £10 per person each way (plus £1 booking fee). Unlike other transfer companies Bansko Express has no hidden charges, like, fuel surcharges, out of office hours, tax, insurance, ski carriage etc. There will also be NO waiting for other flights* as we provide a vehicle for all UK flights into Sofia, Plovdiv and Thessaloniki Airport. We provide summer transfers (April - November) in conjunction with all flights to/from Sofia, Plovdiv and Thessaloniki Airports. 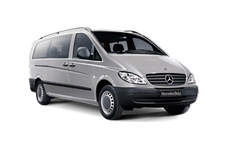 Please use the 'Quick Book' facility to book your cheap Sofia to Bansko transfer. * applies to UK flights only. For non-UK flights there could be a flight schedule time difference of up to 40 minutes.